[typed label]: Near Willamette, Oregon. Sold for $20,000.00. From Mrs. Johnson - West Linn whose father guarded Metorite [sic]. [handwriting] Negative of this available. Description On heavy card stock; pinhole. Negative (Imperial View Series) is with print. See also 437a. 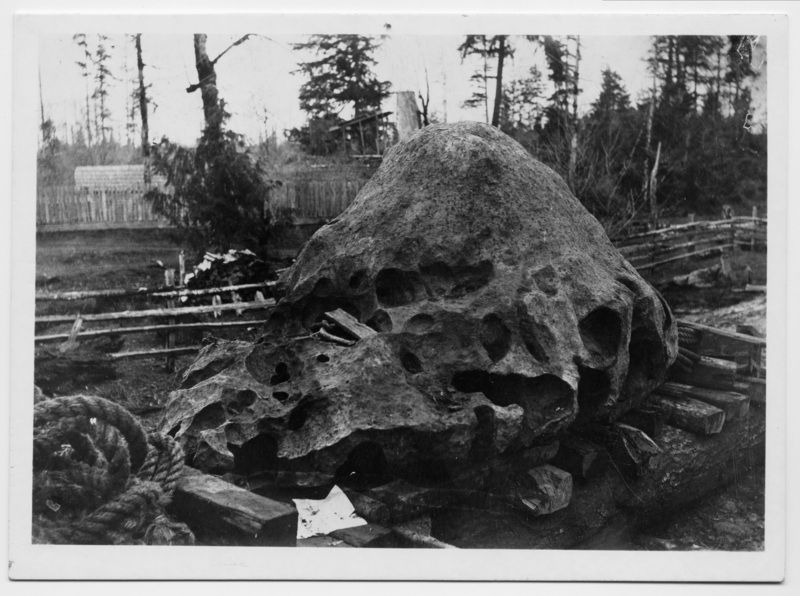 Transcription [typed label]: Near Willamette, Oregon. Sold for $20,000.00. From Mrs. Johnson - West Linn whose father guarded Metorite [sic]. [handwriting] Negative of this available.